Here is the new trailer from the upcoming film “MURDER ON THE ORIENT EXPRESS.” The film is directed by Kenneth Branagh. starring Tom Bateman, Kenneth Branagh, Penélope Cruz, Willem Dafoe, Judi Dench, Johnny Depp, Josh Gad, Derek Jacobi, Leslie Odom Jr., Michelle Pfeiffer, Daisy Ridley, Marwan Kenzari, Olivia Colman, Lucy Boynton, Manuel Garcia-Rulfo, Sergei Polunin. 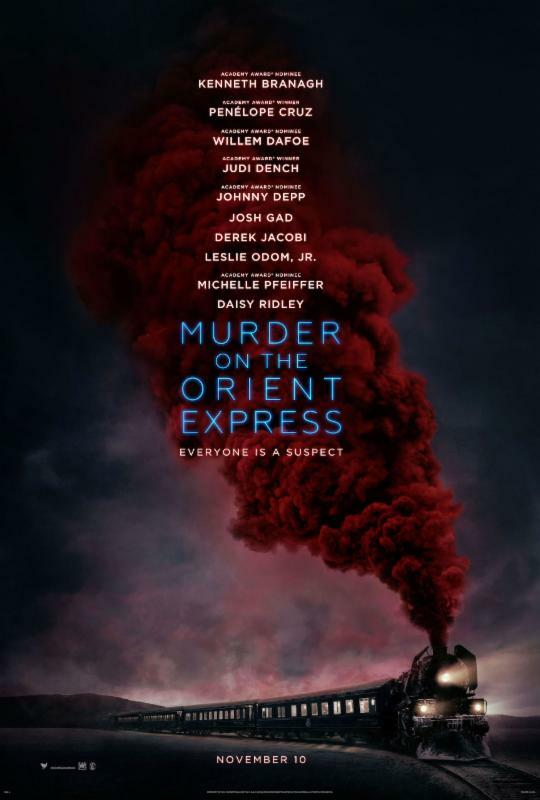 MURDER ON THE ORIENT EXPRESS hits theaters everywhere November 10, 2017! Here is the trailer from the upcoming film “THE MOUNTAIN BETWEEN US.” The film is directed by Kenneth Branagh. starring Tom Bateman, Kenneth Branagh, Penélope Cruz, Willem Dafoe, Judi Dench, Johnny Depp, Josh Gad, Derek Jacobi, Leslie Odom Jr., Michelle Pfeiffer, Daisy Ridley, Marwan Kenzari, Olivia Colman, Lucy Boynton, Manuel Garcia-Rulfo, Sergei Polunin. Here is the trailer from the upcoming film CUBAN FURY. The film is directed by James Griffiths, starring Rashida Jones, Nick Frost, Chris O’Dowd and Olivia Colman. In 1987 a thirteen-year-old natural born dancer with fire in his heels and snakes in his hips is working himself up to explode all over the UK Junior Salsa Championships. But then: a freakish bullying incident on the mean streets of London robs him of his confidence, and our young hero finds his life diverted down a very different path. Ivan Locke (Hardy) has worked diligently to craft the life he has envisioned, dedicating himself to the job that he loves and the family he adores. On the eve of the biggest challenge of his career, Ivan receives a phone call that sets in motion a series of events that will unravel his family, job, and soul. All taking place over the course of one absolutely riveting car ride, LOCKE is an exploration of how one decision can lead to the complete collapse of a life. Here is the trailer from Focus Features’ upcoming film HYDE PARK ON HUDSON. The film stars Bill Murray as President Franklin Delano Roosevelt and Laura Linney as Franklin’s neighbor and intimate, along with a supporting cast including Olivia Colman, Samuel West, Elizabeth Marvel, Elizabeth Wilson, Eleanor Bron, and Olivia Williams. HYDE PARK ON HUDSON opens in theaters December 7, 2012. In June 1939, President Franklin Delano Roosevelt (Academy Award nominee Bill Murray) and his wife Eleanor (Olivia Williams) host the King and Queen of England (Samuel West and Olivia Colman) for a weekend at the Roosevelt home at Hyde Park on Hudson, in upstate New York – the first-ever visit of a reigning English monarch to America. With Britain facing imminent war with Germany, the Royals are desperately looking to FDR for support. But international affairs must be juggled with the complexities of FDR’s domestic establishment, as wife, mother, and mistresses all conspire to make the royal weekend an unforgettable one. Seen through the eyes of Daisy (Academy Award nominee Laura Linney), Franklin’s neighbor and intimate, the weekend will produce not only a special relationship between two great nations, but, for Daisy – and through her, for us all – a deeper understanding of the mysteries of love and friendship. Here is the new TV Spot from the upcoming film THE IRON LADY. The movie is directed by Phyllida Lloyd, starring Meryl Streep, Jim Broadbent, Harry Lloyd, Anthony Head, Alexandra Roach, Roger Allam, Richard E. Grant, Susan Brown, Olivia Colman, Nicholas Farrell, Eloise Webb. THE IRON LADY – in theaters December 30, 2011 – Limited! Here is the new one-sheet from the upcoming film THE IRON LADY. The movie is directed by Phyllida Lloyd, starring Meryl Streep, Jim Broadbent, Harry Lloyd, Anthony Head, Alexandra Roach, Roger Allam, Richard E. Grant, Susan Brown, Olivia Colman, Nicholas Farrell, Eloise Webb. 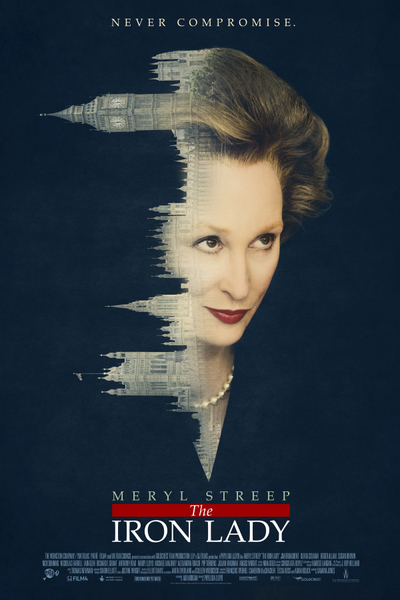 THE IRON LADY – in theaters December 16, 2011 – Limited!